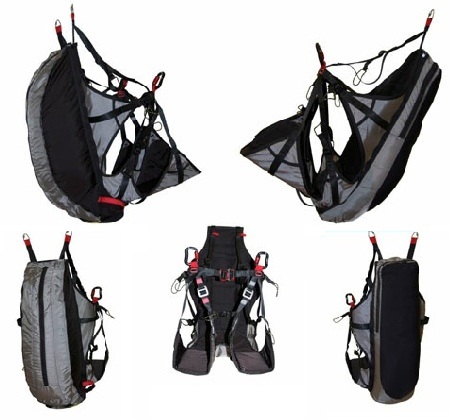 The harness has split legs for ease of movement, and an optional back pocket with or without a reserve container. The harness alone, with karabiners, weighs less than 1.2kg. To that you can opt to add a back bag (144g), or a bag with a built-in reserve pouch (249g). The medium size suits pilots from 160 – 195cm. A larger size is also available for taller pilots.